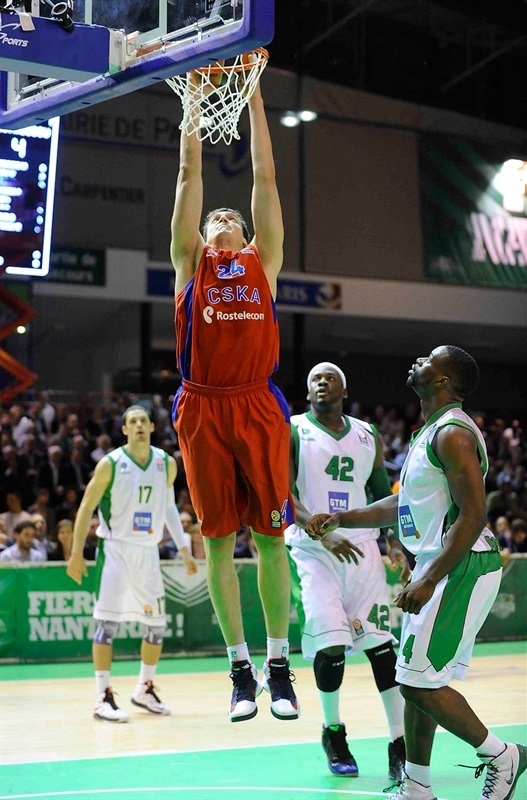 CSKA Moscow survived an opening night challenge from newcomer JSF Nanterre to win 59-62 at Halle Carpentier in Paris on Thursday night. The French champion started strong behind Will Daniels, led by double figures in the second quarter and after CSKA turned things around in the third, Nanterre battled on. The hosts had a chance to tie it at the buzzer, but Mam Jaiteh’s contested three from the corner missed allowing CSKA to run home with a tough victory. Sasha Kaun was a force for CSKA inside with 16 points, 9 rebounds and 2 blocks. Sonny Weems added 12 points and Jeremy Pargo 10. 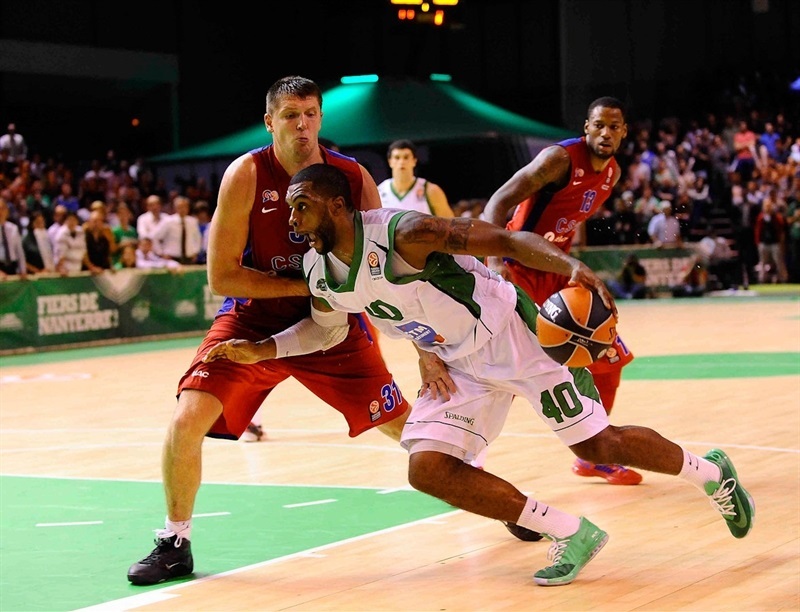 Daniels led Nanterre with 18 points and 7 rebounds, while Deshaun Thomas added 11 points in defeat. 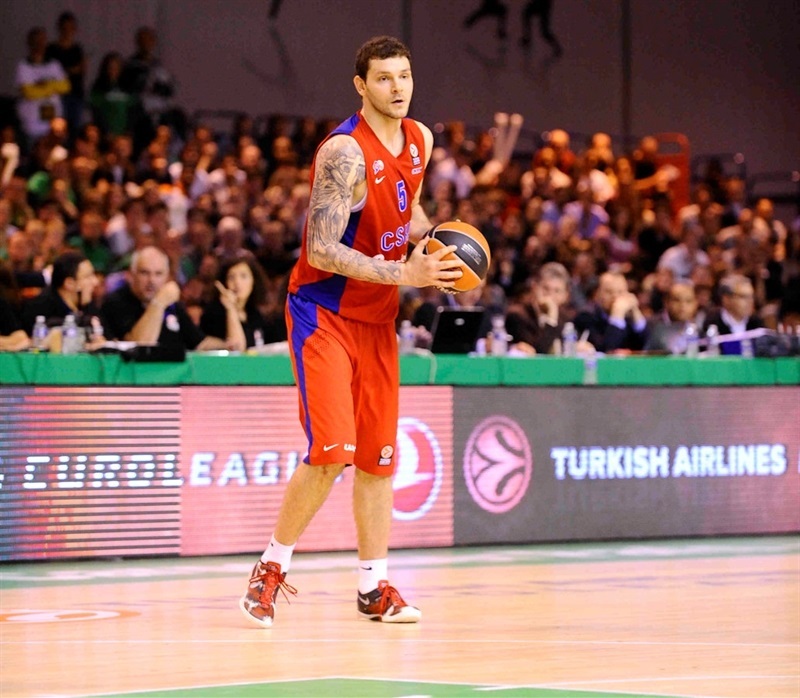 Vladimir Micov opened the scoring for CSKA before Daniels got on the board with a pair of free throws for the home team. Kaun made his impact felt early with an offensive rebound that led to a Jeremy Pargo score, a block on defense and taking a dish from Victor Khryapa for a slam. Pargo went coast to coast for a layup as CSKA settled in with a 2-8 lead. Sergii Gladyr got Nanterre going before Daniels connected with a triple. Daniels then gave Nanterre its first lead, 9-8. Kaun, from the line, and Micov put CSKA in front again, but Daniels was just getting heated up. He added two more baskets to the delight of the crowd. Then Trent Meacham sliced through the CSKA defense for a layup and Mam Jaiteh shined with a steal and slam. Deshaun Thomas capped a brilliant first quarter for the hosts with a buzzer-beating triple, marking 11 unanswered points over four minutes to make it 20-11 after 10 minutes. Sonny Weems ended the CSKA with the first basket of the quarter. Kaun split free throws, but Thomas made 2 and further boosted Nanterre’s lead, 24-14. The lead peaked at 12 with Thomas’s next score. Kaun muscled his way to a tip-in, then threw down a slam and took a pretty dish from Milos Teodosic for a layup to close the gap to 26-20. Pargo narrowed it to 4 before Daniels hit back with a three .Nenad Krstic scored his first points for CSKA. 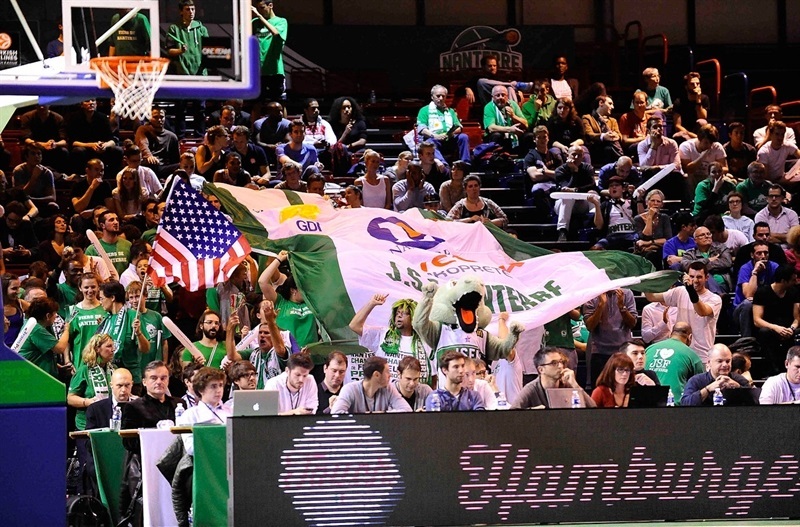 Nanterre continued to attack and after Daniels was fouled attempting a slam, he put Nanterre up 31-24 from the line. Gladyr added a highlight with a block from behind of Kyle Hines. Free throws by Krstic and Pargo trimmed the deficit to 4. Jaiteh scored in the paint, Hines split free throws and Meacham went coast to coast for a layup to grab a 35-28 halftime lead. 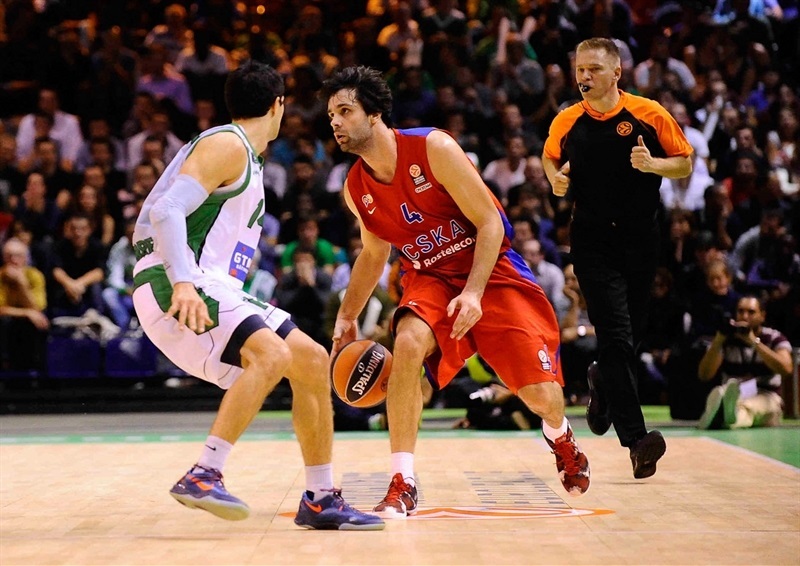 Messina clearly refocused his team during halftime, as CSKA came out looking far more determined. Weems fed Khryapa for a basket on the visitors’ first possession. Khryapa scored again before Weems took over with a pair of scores to cap a 0-10 Moscow charge, which put the Russian champs in front by 3. It took nearly five minutes before a Jekel Foster three got the hosts on the scoreboard again, tying the game at 38-38. Vitaly Fridzon capitalized on a technical foul to score his first point, then Khryapa pushed CSKA up by 3. Thomas twice brought Nanterre within 1 and Marc Judith did it a third time, but Krstic and Teodosic with a three helped Moscow to a 48-50 lead at the end of the quarter. Krstic struck first in the fourth quarter, but before long Meacham knotted the game at 52-52. Khryapa set up Kaun inside. The defenses and intensity led to another scoreless spell that lasted several possessions. 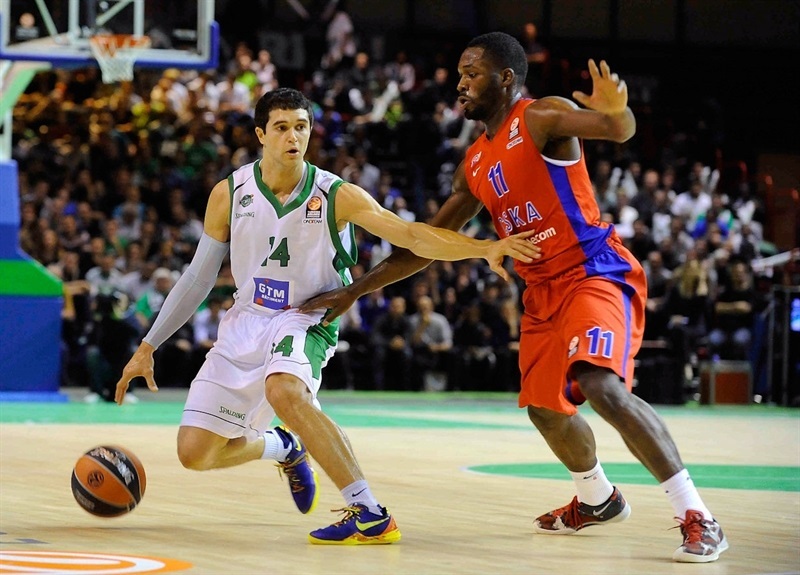 Daniels drove and dished to Johan Passave, who put Nanterre in front for the first time in the quarter. Then Daniels scored high off the glass. A Kaun slam kept CSKA within 1 with five minutes to go. Weems put CSKA in front with a layup. Gladyr missed a wide-open three as Nanterre struggles to generate offense. After a pair of Pargo free throws, Passave kept the hosts within 1 with two minutes to go. Khryapa split free throws with 62 seconds remaining. Daniels missed inside and Pargo got to the line, where he split free throws to make it 59-62 with 33.3 seconds on the clock. However Passave lost the rebound out of bounds. Nanterre got a final chance after Pargo missed a three with 10 seconds left and Jaiteh got the ball in the corner with time running out, but his three missed at the buzzer and CSKA snuck away with the win. "We cannot blame ourselves for anything, as we fought so much. We are frustrated with the result, not with how the game went. We are disappointed, but strangely, we are proud to be disappointed. My players gave so much on the defensive end that they missed some open shots, but I cannot blame them for anything. 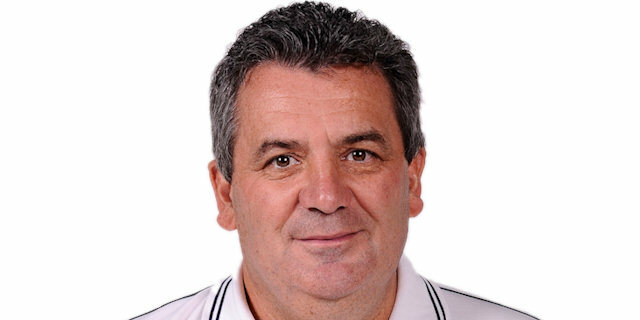 I personally appreciated the greetings from coach Messina, who is for me the reference in coaching in Europe." "We started the game very well but then they killed us. We came back, and had to fight until the end. We managed to be in control in most of the second half. It was a game with a great atmosphere, and it was overall a good game. I can wish Nanterre the best of luck in the competition. They have players who can make the difference."